There is a school of thought with some dog owners that bigger is better. It really is a matter of personal taste and a history of what type of breeds you prefer. All dogs can come with their own issues and personalities. 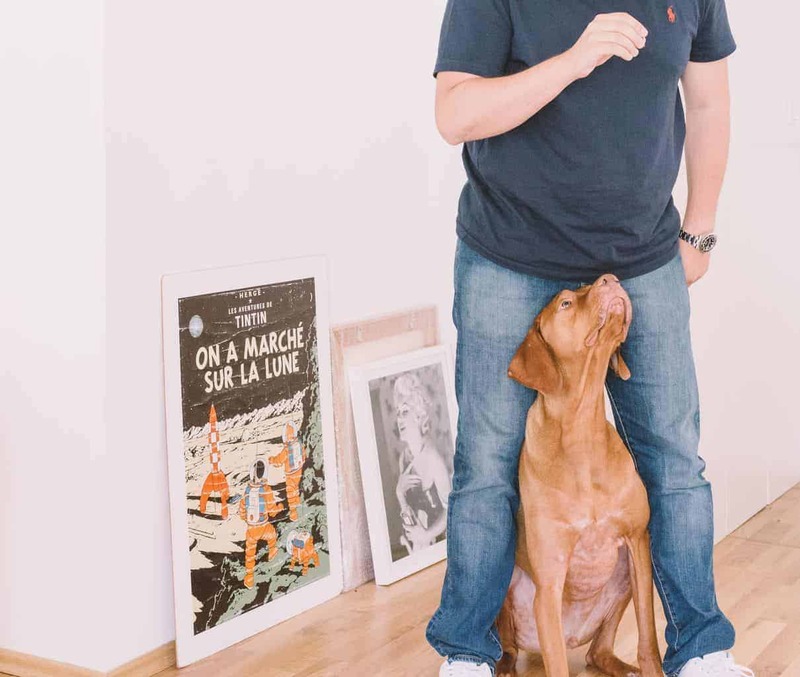 Large breeds like Great Danes, Sheppards, Mastiffs and Newfoundlanders are no exception to that rule. Getting your home ready for any new animal is something that you should consider as a pet owner. Bringing a dog into your new home can be as stressful for them as it is for you. Doing what you can to make things more comfortable and manageable is a great way to ease everyone into the transition. Regardless of their size, large dog breeds are likely to be just big babies the same as every dog. Take a look at some of these suggestions below to help you get your home ready to welcome your new pet. One of the biggest challenges with a large dog is scheduling enough exercise for them. While a smaller dog may only need to be walked quickly once a day, a large breed will need much more time than that to burn off their energy. It is recommended that at least two good walks per day plus lots of playtime in between. Large dogs can get bored easily if they aren’t getting enough exercise, and boredom can lead to trouble. Setting a daily routine is important with any pet, not just large breeds. It helps them to settle into their day with less agitation and restlessness. Feeding, walking and playtime should be scheduled throughout the day around the same times so that the dog can easily get used to their new home. To enforce better behaviour and help ease any separation anxiety in your dog, a consistent routine is a great way to get your new dog settled in. 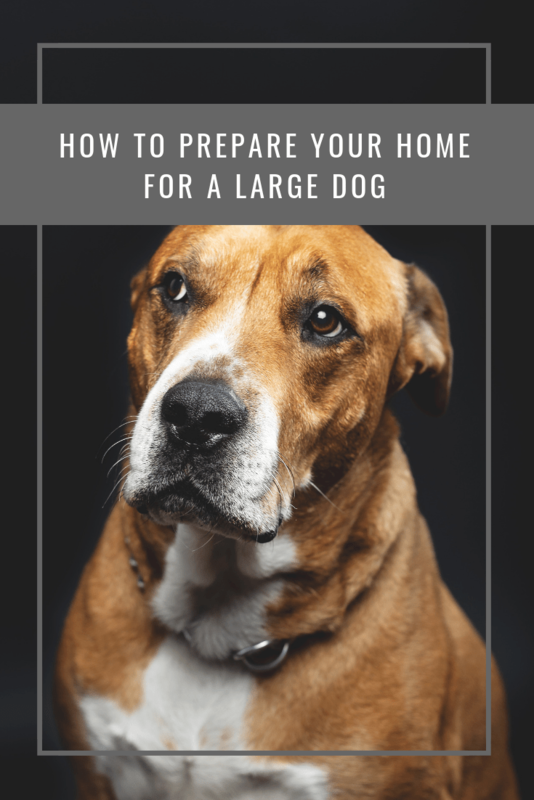 Some people may tell you that you are crazy to have a large breed dog in a smaller house or apartment but this isn’t necessarily true. Dogs spend a huge amount of time sleeping and really don’t need a lot of room as long as they are getting enough exercise every day. To make your new dog feel at home, try to find a small space in your home that can be just for them. Lay down a dog bed or blanket with their toys so that they know that is their own place. Wagging tails and excited jumping can make any size room feel small when there is a big dog around. Keep these things in mind when you are placing your furniture around the room. Try to clear enough space for your dog to comfortably move around the area without doing any damage. Clear off low tables of anything valuable because those wagging tails can do a lot of damage when they send things flying. Keep in mind things like access to other rooms and doors and put barriers into areas that you don’t want them to go.